Lok Sabha elections remained entirely aloof from state elections in Uttarakhand since its formation in 2000 and going by the past trends, the hilly state has seen major ups and downs for the ruling party, with anti-incumbency playing a vital role each time. 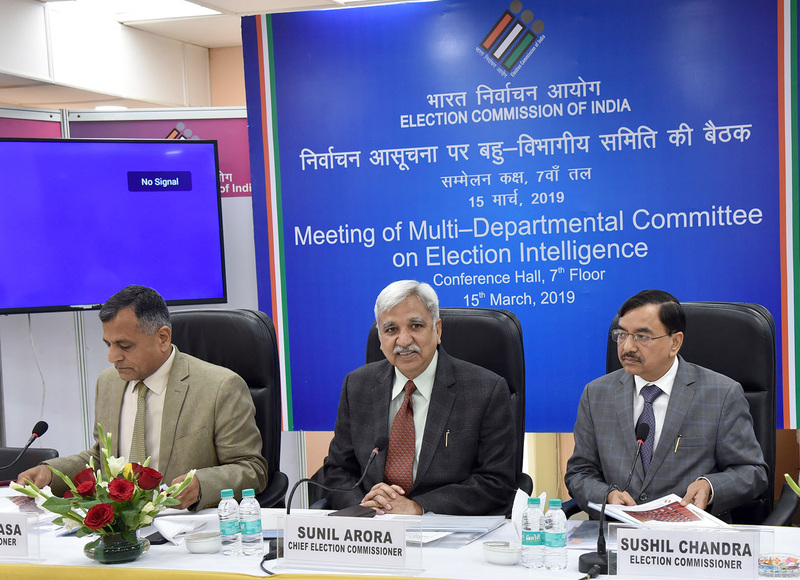 Uttarakhand will go for poll on April 11 in its five Lok Sabha constituencies — Haridwar, Tehri Garhwal, Almora, Pauri Garhwal and Nainital. 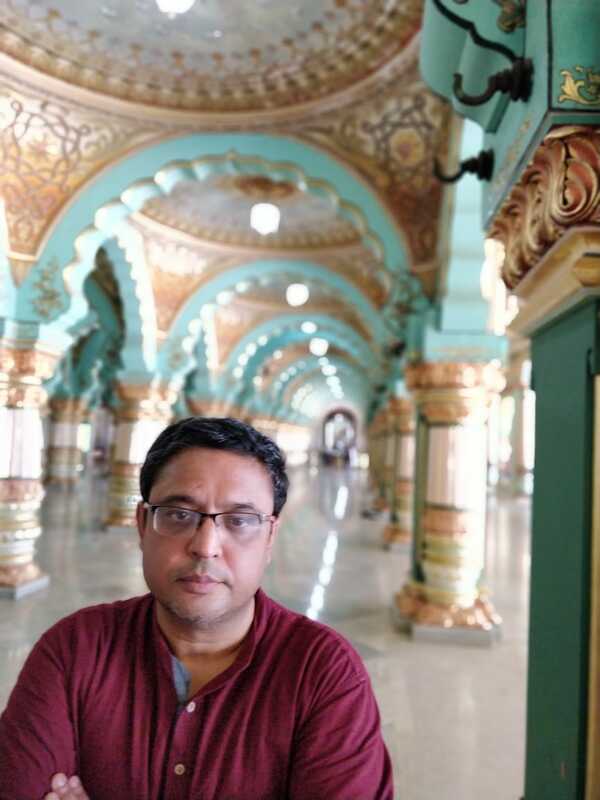 As BJP has already announced its candidates, three of them sitting MPs, Congress list is likely to field a Khanduri this time — Manish Khanduri, son of former CM and Pauri Garhwal MP BC Khanduri. 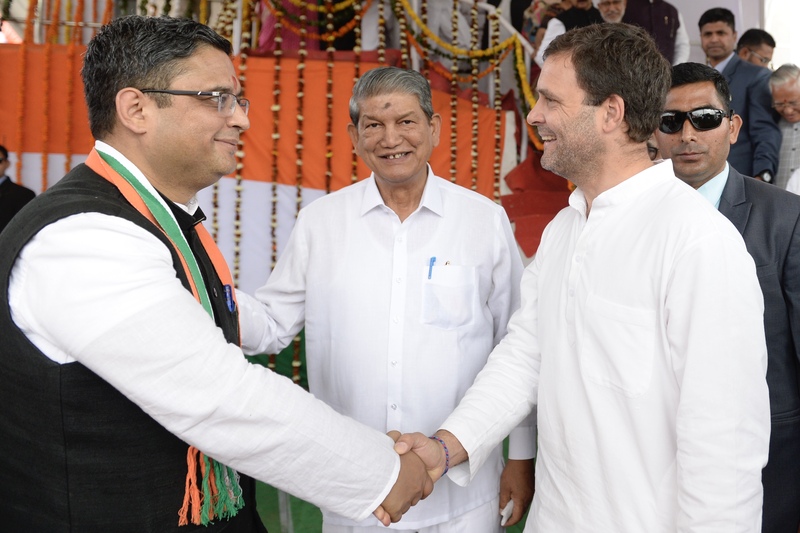 With Khanduri on its side, Congress is geared up to possibly wrest more seats this time as anti-incumbency is likely to dominate this time. Unlike the 2014 Lok Sabha polls, when BJP swept all the 5 seats with a comfortable vote share of 55.93 per cent, the Congress ended up with a vote share of 34.40 per cent, with no seat in its kitty. Though BSP registered 5 per cent vote share, failed to emerge as a powerful third force to reckon with. The notable defections of senior Congress leaders like Vijay Bahuguna, Harak Singh Rawat and Satpal Maharaj to join BJP against Harish Rawat before the polls was one major factor cited for Congress’s defeat. Going by the state assembly poll in 2017 where BJP won 57 out of 70 seats, the decline in its vote share is evident from 55.93 per cent to 46.5 per cent, while the Congress vote share hardly changed from 34.40 in 2014 Lok Sabha elections to 33.5 per cent. More than BSP, indpendents played the spoil-sport though the final outcome did not shake BJP that has swept the poll outcome. Now BJP is confident to win all five seats in Uttarakhand, hoping to repeat the 2017 voting pattern, but Congress has clearly emerged stronger than before attracting younger faces to its ranks with Manish Khanduri on its side now. The state that longed for Khanduri in 2012 elections may see his son as a new ray of hope to overcome chronic problems of unemployment in the state. Moreover, the political situation has shifted dramatically from 2017. The impact of demonetisation is seen by youth as a major factor that had eroded more jobs in the state. The draconian GST has scared many small businesses beyonnd comprehension, while Rafale deal misgivings refuse to die despite BJP’s denial. One surprising outcome of Lok Sabha elections in Uttarakhand may not be a pro-Congress vote per se but a decisive anti-BJP vote that may not get split as the ruling party may wish. If Congress can maneuvour to concentrate on consolidating its traditional vote bank at 33 per cent vote share and then target the 17 per cent of the swing vote in the state, it can easily win four seats in Uttarakhand. On its part, the BJP is embroiled in ill-consequences that any ruling party faces. Many strong candidates who had worked on their constituencies in the hope of getting a party ticket may now shift loyalties sooner than expected. With two veteran leaders — BC Khanduri and Bhagat Singh Koshyari — not contesting, BJP’s sittings MPs Ajay Tamta, Mala Rajya Laxmi Shah and Ramesh Pokhriyal Nishank are on defensive in the poll battle this time. Once the Congress list of candidates in Uttarakhand is out, a clearer picture of real battle line will emerge in the state.